Graham Reynolds Music shared a post. Hope to see you THIS Saturday at 3TEN Austin City Limits Live for the Electric Lounge 20 Year Reunion Show! 2 weeks 3 hours ago. When a composer uses sounds that are generated from inside the computer, as opposed to recording live sounds or instruments, this is called working “inside the box”. While doing his film scoring work, Reynolds has amassed an arsenal of fun computer software sound generating toys that he had rarely used to create his more personal compositions. 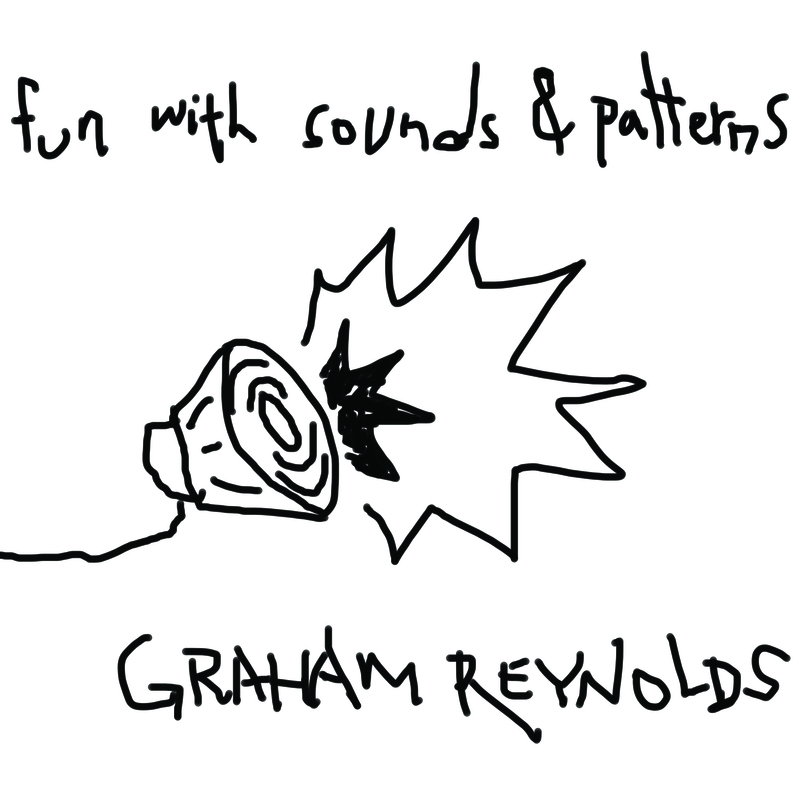 For “Fun with Sounds and Patterns” Graham let loose with these virtual instruments, samples, and effects. In addition to the “inside the box” sounds, Reynolds mangled and manipulated recordings he had made during sound hunts in Austin and Mexico City, as well as sound design elements from theater work. Without abandoning melodies or overt structures entirely, Reynolds has created a boisterous, compelling, and joyful noise-based sonic world.